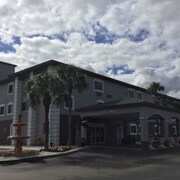 Located in West Naples, this hotel is within a 10-minute walk of Fifth Avenue South and Tin City. Naples Beach and Naples Pier are also within 2 mi (3 km). 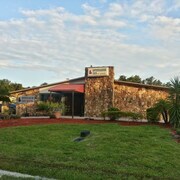 Located off I-75, this budget hotel is within 8 miles of the Naples city center and beautiful Gulf beaches. If you're looking for a great (and cheap!) hotel in Naples, CheapTickets is the best place to find them. 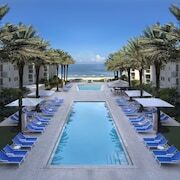 We offer deals on the best 547 hotels throughout Naples. No matter what you're looking for, we have options for you. Grab great rates on the 281 affordable 3-star hotels that are easy on the wallet without sacrificing comfort. Looking for more luxury? Try one of the 66, 4-star hotel accommodations in Naples. No matter your budget needs, we've pulled out all the stops to make sure you have plenty of vacation options. Maybe you prefer to search for your hotel deals based on what each hotel offers? For example, let's say you just want to find a hotel or resort that has a pool to cool off in after a long day exploring Naples. Scroll down to choose from the 81 hotels in Naples that has a pool for guests. Or search for deals on Naples hotels offering free wifi or breakfast, non-smoking rooms, and more! CheapTickets is here to be your personal travel agent for your next trip to Naples. Get booking today! What hotels in Naples offer free wifi access? Are there deals on Naples hotels offering free breakfast? Yes! The only thing better than finding a great deal on a cheap hotel in Naples is finding one that offers free breakfast. Grab some eggs, a waffle, or some healthy oatmeal before a day full of exploring Naples and all that it has to offer. Below are just some of the many hotels that offer free breakfast in Naples. Holiday Inn Express Hotel & Suites Naples Downtown - 5th Ave is a 2.50 star rated hotel property in Naples that offers free breakfast. Hawthorn Suites by Wyndham Naples Pine Ridge is a 3.00 star rated hotel property in Naples that offers free breakfast. La Quinta Inn & Suites Bonita Springs Naples North is a 2.50 star rated hotel property in Naples that offers free breakfast. 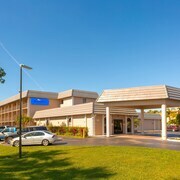 Residence Inn by Marriott Naples is a 3.00 star rated hotel property in Naples that offers free breakfast. What about deals on pet-friendly hotels in Naples? Naples is a great place to get outside and explore with your pets in tow so don't leave your furry friends behind. Below you'll find great deals on hotels in Naples that allow pets. Don't forget to bring plenty of treats! 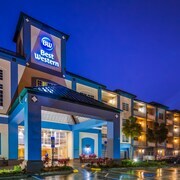 Best Western Naples Plaza Hotel is a popular, pet-friendly, 2.50 star hotel in Naples. Naples Beach Hotel and Golf Club is a popular, pet-friendly, 4.00 star hotel in Naples. 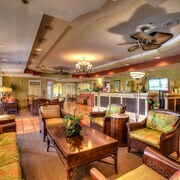 Homewood Suites Bonita Springs is a popular, pet-friendly, 3.00 star hotel in Naples. Hyatt Place Coconut Point is a popular, pet-friendly, 3.00 star hotel in Naples. Any good rates on Naples hotels with restaurants? Absolutely. Don't want to deal with planning our all your meals on your trip to Naples? We don't blame you. Keep the hangry away by staying in one of the 33 hotels that have restaurants. With a room at one of these spots, all it takes to get a good meal is hopping in the elevator. Check out some of the most popular hotels in Naples that have restaurants below. Book Port of the Islands Everglades Adventure ResortPort of the Islands Everglades Adventure Resort is a 2.50 star hotel and has one or more restaurant options. Book Hyatt Regency Coconut Point Resort & SpaHyatt Regency Coconut Point Resort & Spa is a 4.50 star hotel and has one or more restaurant options. 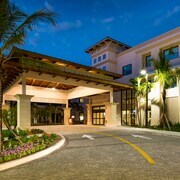 Book Naples Bay ResortNaples Bay Resort is a 4.00 star hotel and has one or more restaurant options. Book Trianon Bonita BayTrianon Bonita Bay is a 3.50 star hotel and has one or more restaurant options. What are the cheapest hotels in Naples with pools? What's better after a long day exploring Naples then a relaxing dip in a pool? Finding the Naples hotel you need for a bargain! Cool off and unwind at one of our 81 Naples hotels with a pool. Browse some of the top deals on these hotels and resorts with pools in Naples below, but be warned: You may not want to check out! Staybridge Suites Naples - Gulf Coast has a pool and a 3.00 star rating. Trianon Old Naples has a pool and a 3.50 star rating. Inn at Pelican Bay has a pool and a 4.00 star rating. Fairways Inn of Naples has a pool and a 2.50 star rating. What hotels in Naples offer parking for guests? Once you've made your way to Naples, the last thing you want to deal with is finding parking close to your hotel. Avoid the hassle of parking around the block and carrying your luggage all the way to the lobby by booking one of our hotels with parking. Check out deals on some of the 82 hotels in Naples that offer parking for guests. SeaShell Motel This hotel has a 2.00-star rating. Vanderbilt Beach Resort This hotel has a 2.50-star rating. Charter Club of Naples Bay by Diamond Resorts This hotel has a 3.00-star rating. La Quinta Inn & Suites Naples East I-75 This hotel has a 2.50-star rating. Do Naples hotels offer 24-hour concierge services? When you're on vacation, things don't always go according to plan. Travel with peace of mind when you book one of our 21 hotels in Naples with 24-hour concierge service. That way you know help is always phone call or elevator ride away. Try Olde Marco Island Inn and Suites. It's a 3.00 star rated hotel in Naples that offers concierge services 24 hours a day. Try DoubleTree Suites by Hilton Naples. It's a 3.50 star rated hotel in Naples that offers concierge services 24 hours a day. Try Naples Grande Beach Resort. It's a 4.50 star rated hotel in Naples that offers concierge services 24 hours a day. Try Hyatt House Naples/5th Avenue. It's a 3.50 star rated hotel in Naples that offers concierge services 24 hours a day. What about low rates on non-smoking hotels in Naples? Bayfront Inn Fifth Avenue This hotel has a 3.50-star rating. La Quinta Inn & Suites Naples Downtown This hotel has a 2.50-star rating. Marco Island Lakeside Inn This hotel has a 2.50-star rating. What are the cheapest Naples 3-star hotel deals? Our 3-star hotels bring you quality accommodations at a lower price point for the perfect, budget-friendly vacation in Naples. With 281 3-star hotels throughout Naples to choose from, you still have options. Browse our selection below. Marco Beach Vacation Suites. Situated in Marco Island, this beach condo is within a 15-minute walk of South Marco Beach, Caxambas Park, and Marco Golf and Garden. Marco Island Center for the Arts and Mackle Park are also within 3 mi (5 km). Hyatt House Naples/5th Avenue. Located in Old Naples, this hotel is within 1 mi (2 km) of Naples Depot Museum and Tin City. Naples Pier and Naples Zoo at Caribbean Gardens are also within 3 mi (5 km). Inn of Naples. Located in Park Shore, this hotel is 0.7 mi (1.1 km) from Holocaust Museum of Southwest Florida and 2.3 mi (3.6 km) from Naples Zoo at Caribbean Gardens. Village on Venetian Bay and Waterside Shops are also within 2 mi (3 km). Trianon Bonita Bay. Situated on a lake, this hotel is 0.2 mi (0.3 km) from Promenade at Bonita Bay and within 6 mi (10 km) of Naples-Fort Myers Greyhound Track and Bonita Beach Park. Coconut Point Mall and Germain Arena are also within 12 mi (20 km). What are the best deals on 4-Star Hotels in Naples? Naples is full of hotels and it can be hard to narrow down where you really want to stay. Luckily, we've done that hard work for you be narrowing you from 547 hotels throughout Naples, to the 66 4-star hotels in Naples. Our 4-star hotels in Naples are exactly what you need for your next family trip, romantic weekend, or solo getaway. Check out our most popular deals below. Naples Grande Beach Resort: Set on 23 lush, tropical acres alongside the Gulf of Mexico, Naples Grande Beach Resort offers spacious accommodations with stunning views, luxurious spa, 3 signature pools, one with 100 foot waterslide, award-winning tennis and miles of sugar-sand beach. Championship golf is nearby and the upscale Waterside Shops and Artis Naples are within walking distance. Hyatt Regency Coconut Point Resort & Spa: This luxurious golf resort borders Estero Bay and is centrally located within a 40-minute drive of Fort Myers and Naples. Shopping malls, dining venues, and baseball spring training parks are all within easy reach. 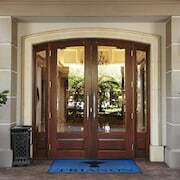 The Inn on Fifth: Set in picturesque Old Naples, this smoke-free hotel is adjacent to galleries, designer shops, and restaurants; 5 blocks from the Gulf of Mexico; and a half-mile from Naples Pier. This is a wonderful property!! The hotel is so amazing and beautiful!! Rooms and bathrooms great!! Spectacular decoration!! The staff is so helpful and courteous!! Great breakfast!! It makes you feel like you are in a resort in a Caribbean island!! We hope to return very soon!! Loved everything about it!!! Rooms were big, beds were comfortable. The pool and hotel grounds were beautiful. Loved the kids activities everyday. My 5 year old looked forward to those all week. Melessa was great! She kept the kids entertained and she was my daughters absolute favorite! My only complaint is that you can’t get an umbrella without paying on the beach. You would think with the $40+ a day in resort fees, a simple umbrella would be included with use of the lounge chairs. Other than that, we really enjoyed our stay! Old and run down accommodation. It is an impertinence to offer such accommodation for this price. Broken objects were everywhere on the site. Close to many things that you can walk to. Would have been nice to have a fridge and microwave in the room. Front desk guy rude. Walls paper thin. None of the amenities described.